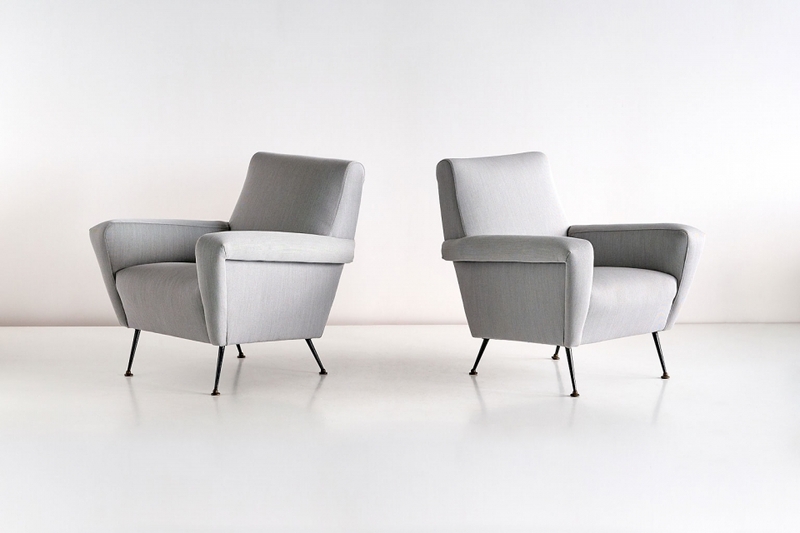 These comfortable armchairs were designed by Gigi Radice and produced in Italy in the 1950s. 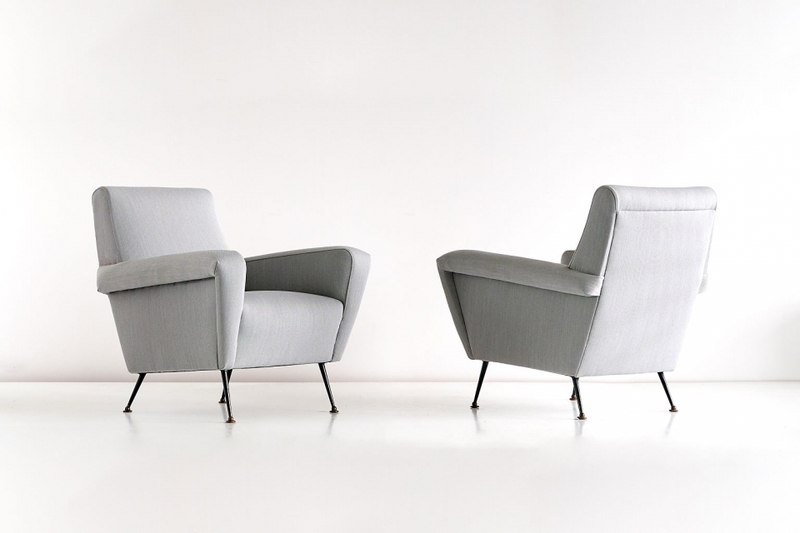 Rugged yet refined, their design is a great example of the originality and dare of the Italian design of this era. Standing on black metal tapered legs and brass feet, these generously proportioned chairs have been fully reconditioned and newly reupholstered in a gray Kvadrat Steelcut Trio fabric.